A fall at work and a knock on the head forces Claire to rewind ten years to the last thing she can remember – when she and Rick were a happy couple. But, a lot happens in ten years… divorce, a successful business venture, new living arrangements, and a grandson. So what id Rick, her ex-husband, is about to go on a destination wedding with Lacey – the woman who used to be his secretary? To ease her into the present, the people in Claire’s life tell truths, half-truths, and outright lies. 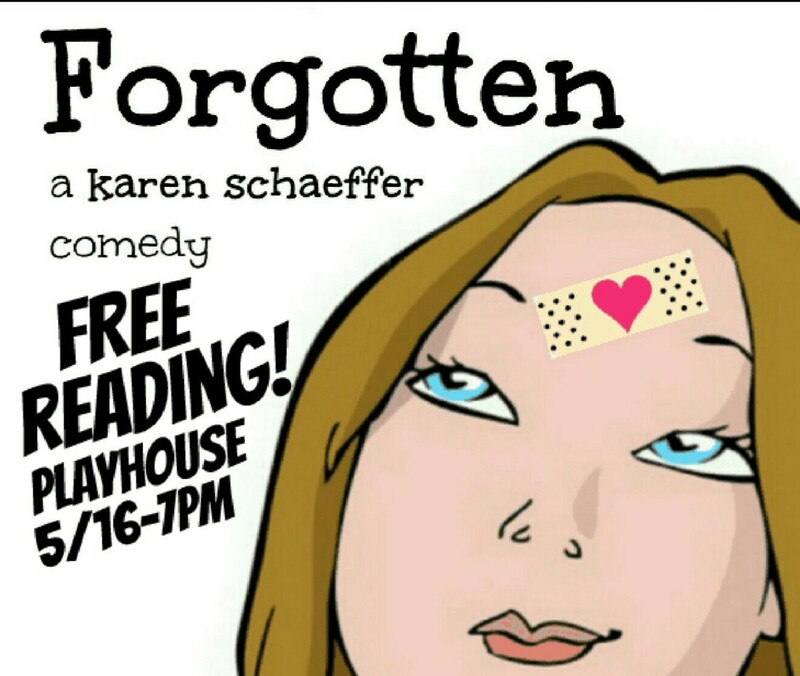 Welcome to Forgotten, a new comedy by Karen Schaeffer, where time travel is a deliciously funny! Join us for a FREE play reading. Cash bar available.